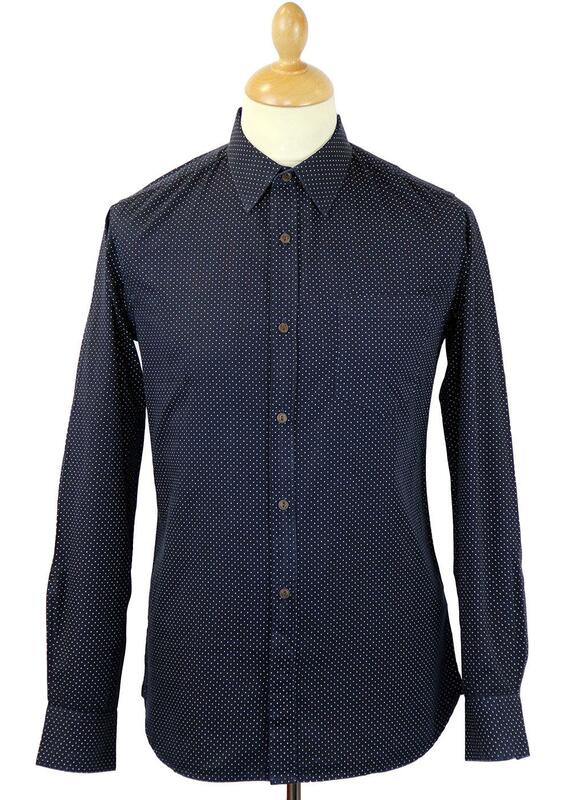 FRENCH CONNECTION CHARLEY MENS RETRO SIXTIES POLKA DOT MOD SHIRT (Marine Blue). A Retro Clothing staple, the polka dot shirt as interpreted by French Connection. Charley features a fab Psychedelic Sixties mini polka dot print, complimented by Mod fold over point collar and patch chest pocket. 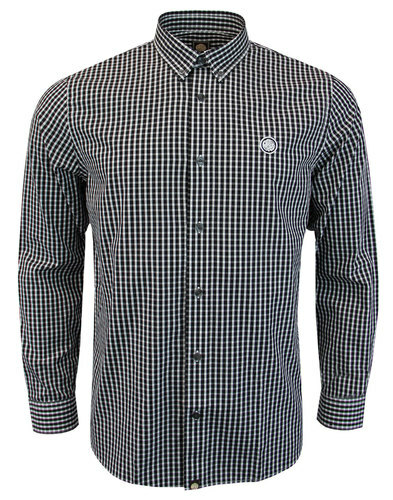 Charley Mens Polka Dot Shirt by French Connection. 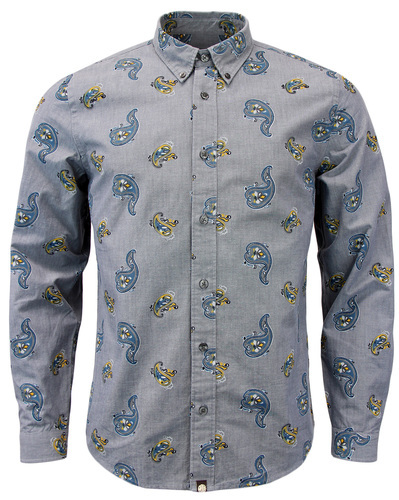 French Connection Charley Mens Retro Shirt in marine blue (dark navy). Sixties Mod contrast mini dot print throughout in classic white. Neat button detailing and traditional patch chest pocket. Mod forward point collar for that sophisticated and debonair edge. 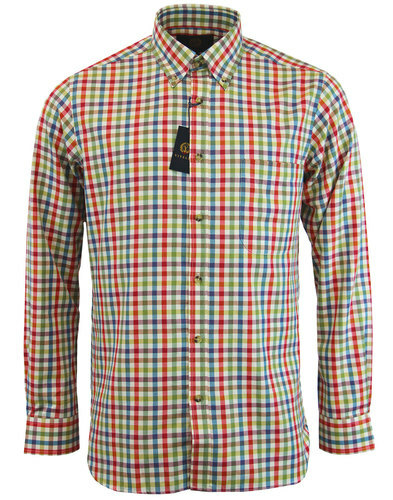 Charley Mens Retro Mini Dot Shirt by French Connection. Wear it either smart or casual, Charley is ideal for both! 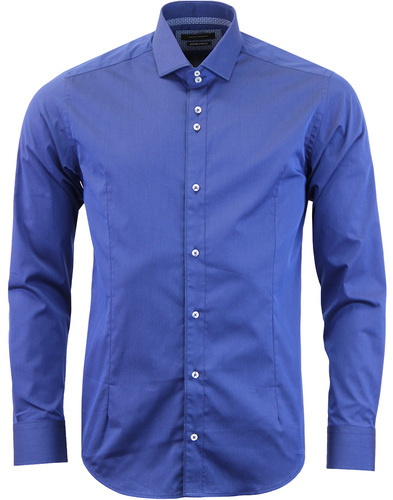 Colour: Marine Blue (Dark Navy). 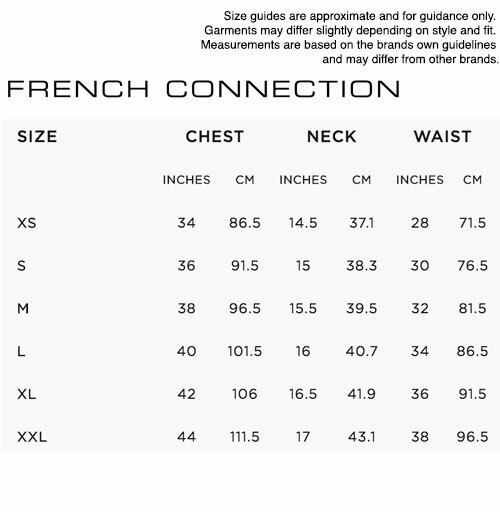 SKU: 52CCH Charley Polka Dot French Connection Shirt. French Connection Charley Mens Retro Sixties Polka Dot Mini Dot Mod Shirt (Marine Blue).